tartine: n. A French open-faced sandwich, especially one with a rich or fancy spread. 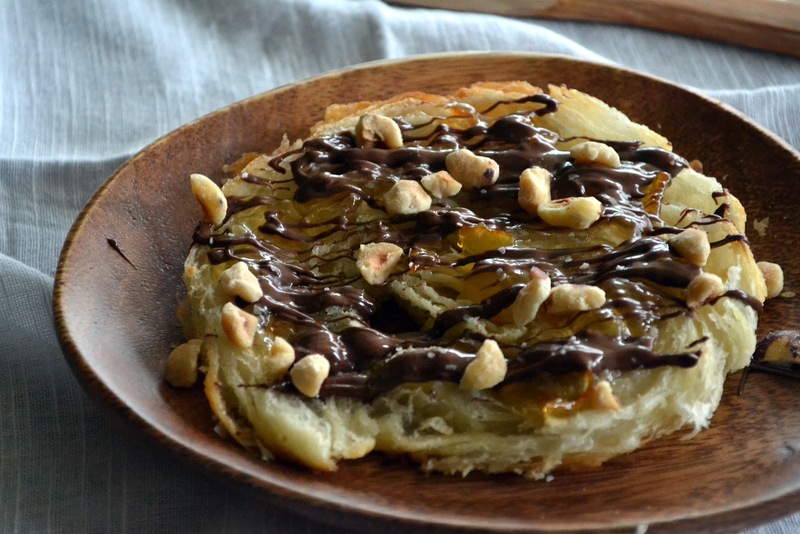 Without a doubt, Nutella Tartine is the easiest recipe in Around My French Table. So easy, it's hard to even call it a recipe. Dorie tries to make harder by suggesting that readers make brioche bread to use but I couldn't pass up the chance to do it up easy this week. There is an adorable bakery a block from my office so I walked down there on my lunch break in hopes of finding a freshly baked loaf of brioche or challah. Not finding any, I spied the croissants and decided that would be perfect for a nutella sandwich. Wow, was this good! The slight bitterness of the orange marmalade against the chocolate was divine. Chopped hazelnuts casually strewn across the top and a tiny sprinkle of salt were the final garnishes to this delightful treat. 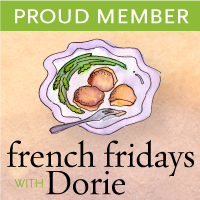 I'm pretty sure most of my fellow French Friday with Dorie participants didn't take the lazy route like yours truly. You can see their creations by visiting, here. I'm all for the lazy route with this kind of recipe. No reason to complicate things with homemade brioche. Croissants sound perfect! This was a delicious recipe. I like your use of croissants. I took the lazy route. 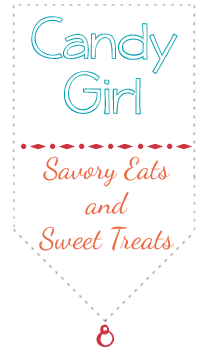 I figure that these easy recipes are my reward for the hard work of making it through Dorie's more complicated recipes. Bet that croissant was divine. I agree...Dorie tried to make a common to Europe sandwich more fancy...and she is successful, but because of this, I'm now am dreaming up new ways to make this nutella toast more interesting...fun to get the creative side kicked into gear by good ideas. Cher is correct - you did walk to the bakery and that takes effort! I think croissants were perfect for this. Great photo too! Oh, I took the laziest approach of all this week, hands down. I love how the split croissants look. These tartines were delightful indeed! even though I forgot the salt. Four ingredients and I can't even get that right. I think a croissant would be even better than the brioche... Pain au chocolate! Wow, that looks really good on the croissant! it was so easy, i had no excuse to mot make it! luckily great, too! The croissant makes a beautiful picture! I loved the easiness of this too. Lazy or not, looks lovely! Croissant is a great idea! And there are a few other bloggers who chose to use buttery croissant too. Seems like it worked out really well and you love your tartine. What an irresistible snack! Oh, a chocolate croissant! Perfect! It looks great. What a great afternoon snack. That croissant looks perfect. I love when I can visit a bakery with amazing bread. Did you change the look of your blog recently? I like it. I am always up for "lazy" - esp when it yields such amazing results :) Actually it is almost dangerous that something so easy (I microwaved my Nutella....)can yield so many calories. For half a moment I started calorie counting as I took a bite of my tartine, but then closed my eyes and enjoyed it. This looks like the most perfect, easy snack, especially with a crouton as the base. YUM! So, Candy, I loved that you called this week's recipe a Nutella Sandwich. That makes it sooooo American. Never apologize for taking an easier path. I needed an easy week also so didn't make my Nutella from scratch as many other Doristas did. Just glad that we participated. This was better than easy. It took nothing to be delicious. Yours looks as if it is waiting to be picked up and I am so ready.